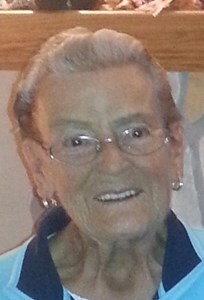 Patricia L. Van Gompel, 82, of Green Bay, beloved wife of 64 years to Arthur "Art" Van Gompel Jr. departed this life peacefully with her family at her side on Saturday, November 17, 2018 at Grancare Nursing Home. Pat was born on January 18, 1936 in Green Bay, daughter of the late Margaret (Donald) Bai. She will be lovingly remembered as a wonderful Wife, Mother, Grandmother, Great Grandmother and Great Great Grandmother. She enjoyed trips to the casinos with her husband Art. She also enjoyed in earlier years rummage sales, polka dancing, shopping, fish frys, playing solitaire, and she always hosted Christmas Eve celebrations . Pat is survived by her husband Art and their children: Diana Lynn (Ronald) Lumaye, Jeffrey Van Gompel Sr., Margaret "Mugs" (Donald) Sobieski, and Tina Peterson. She is also survived by brothers, Robert and William Phillips and a sister, Nancy Phillips. Pat also leaves 12 grandchildren, 24 great grandchildren, 1 great great granddaughter and special friends Pat McCarthy, Elaine Bartels and Mary DeCramer. She also leaves numerous nieces, nephews, extended family and friends. She is preceded in death by a grandson, Sean Lumaye and a special friend Carol Gerondale. Services are being held privately at Pat's request. Newcomer - Green Bay Chapel has been entrusted with arrangements. The family would like to extend a special thank you to the staff at Grancare & Unity Hospice. To leave a message of remembrance of Pat and to share it with her family please click on the share memories button above. Add your memories to the guest book of Patricia Van Gompel. My condolence's go out to the Family.